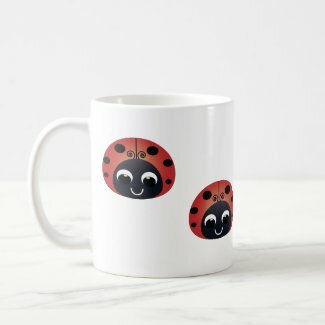 This isn’t all about my artwork though, it’s about some unique ladybug merchandise and gifts that other artists offer as well. 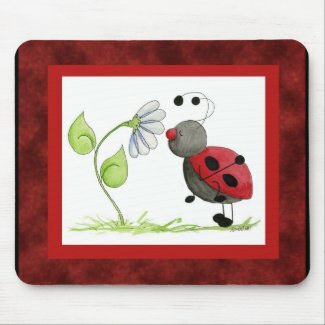 There are so many talented artists and here are some of their ladybug designs on products. 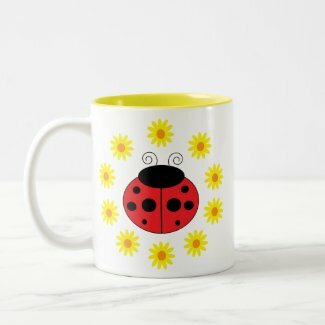 You will also see mine mixed in as well. 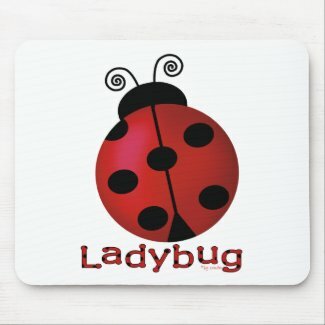 I hope you find just the right ladybug merchandise or gift you’re looking for. 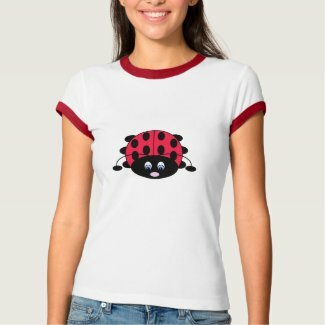 Ladybug Apparel: Shirts, T-Shirts, Tees for Women and Kids. 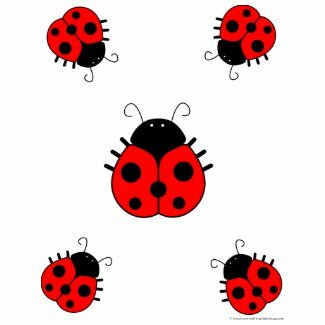 The ladybug shirts featured below are also available in other shirt styles. 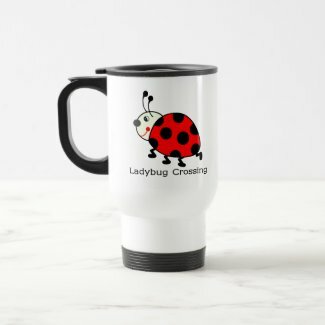 These ladybug coffee and travel mugs are great gift ideas for ladybug lovers. 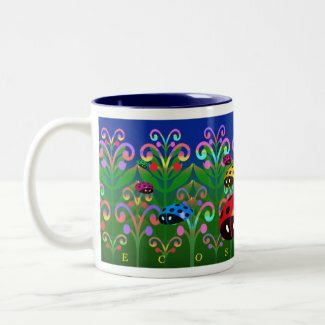 You can also select from more mug style and colors. 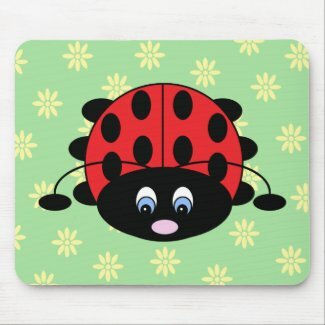 Make one of these ladybug mousepads unique by adding a name or a message. 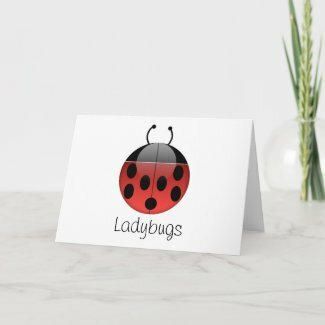 Any of these ladybug greeting cards can be customized for the special occasion you need it for. 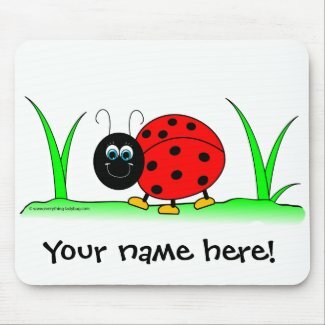 You can also personalize them with your name. 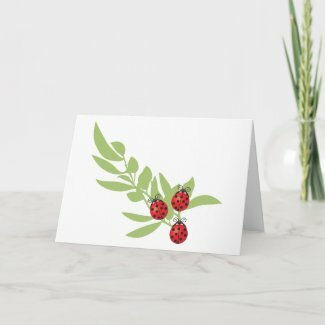 Perfect for Birthdays, Thank You cards, Thinking of You cards, etc. 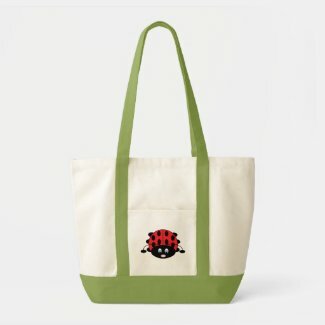 These ladybug designs are also available on other tote bag styles and come in several different sizes. 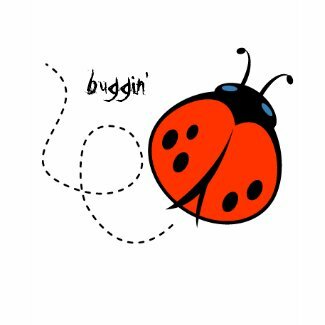 You won’t find these unique ladybug shoes in any retail store. These stylish Keds shoes come in many different sneaker and shoe styles for women and kids. 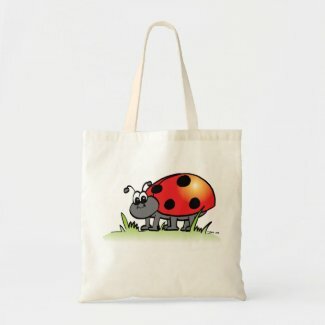 I hope you found a ladybug product you liked but just in case you didn’t be sure to visit the links below for more ladybug merchandise and gifts. 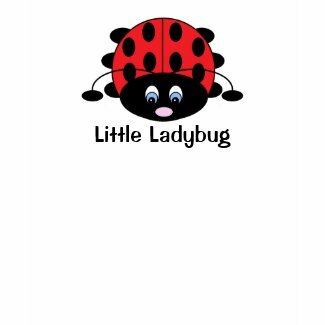 One of my favorite ladybug collectibles is this adorable ladybug music box. 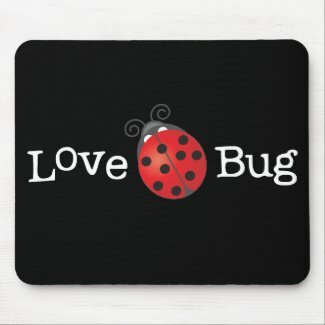 Last year, my husband got it for me as a Christmas gift. 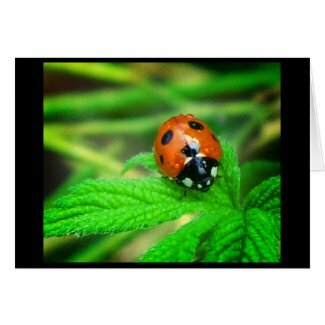 The ladybug colors are so vivid and it is a very nice quality collectible and who could resist those beautiful blue ladybug eyes? 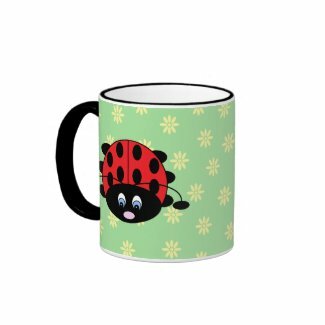 For more fun Ladybug merchandise and collectibles be sure to visit my other website. 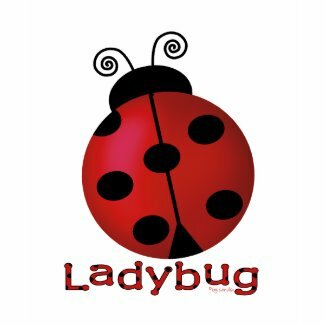 Visit my new website that’s dedicated to all types of Ladybug Merchandise. 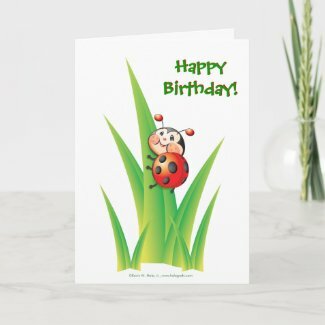 All designs and images that appear on this page are copyrightten by the artist and CANNOT be used without their permission. 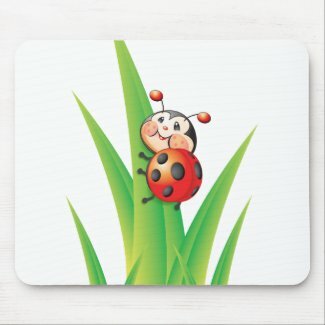 Your ladybug is so cute. 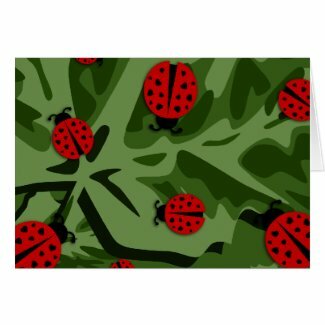 Love the ladybug art on the stuff. 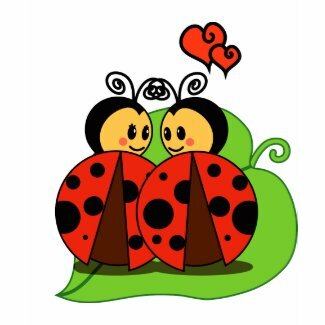 Coolest ladybug designs on internet!